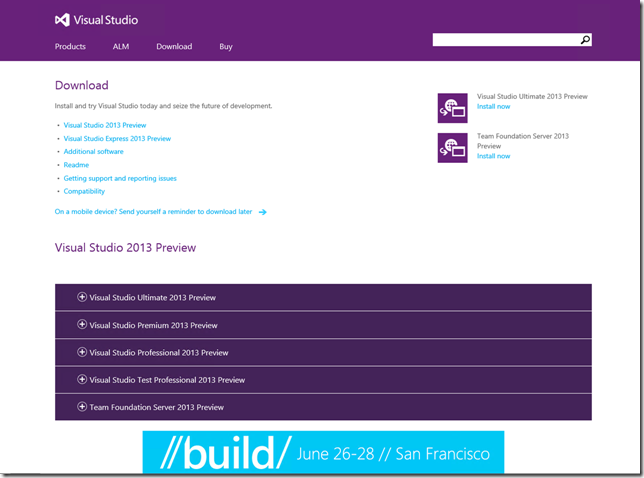 First, browse the new and cool VS 2013 Preview product page. From there, click the “Sign in to download” link to access the product download page. 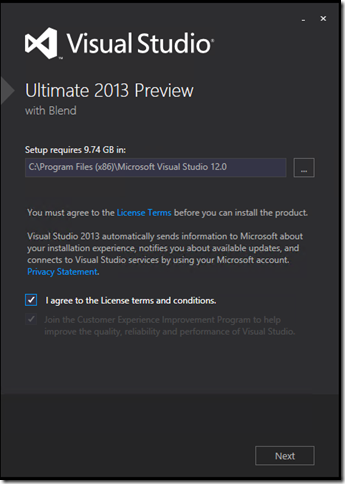 The download page allows you to add your profile information and also download one of the VS 2013 Preview versions available: Ultimate, Premium and Professional Editions. 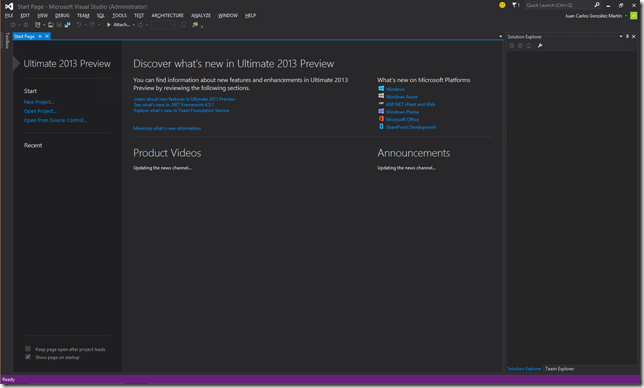 Of course, you can also download Team Foundation Server 2013 Preview and any of the VS 2013 Preview Express Editions available. You can review the list of downloads in this link. 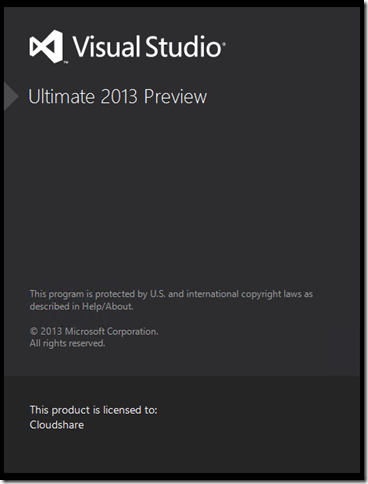 In our case, we will download the VS 2013 Preview Ultimate Edition. In the first installation window, just accept the “License terms and conditions” and click the “Next” button. 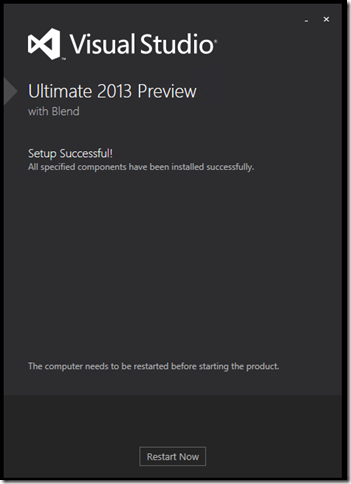 In the next window you can choose what optional features you want to install in the box. Just keep all the features and click the “Install” button. Once the installation process finishes, you will have to reboot the computer. 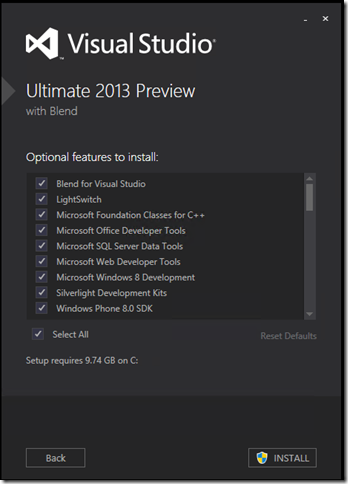 When the computer has successfully restarted, run the VS 2013 Preview. 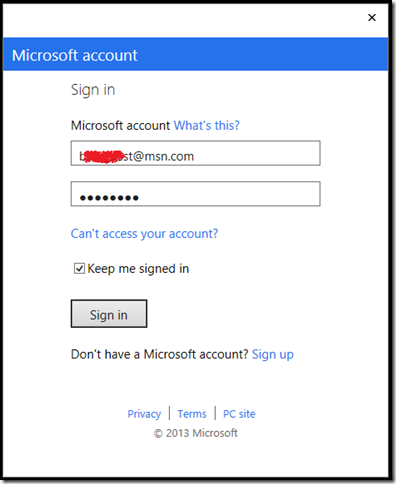 The first VS 2013 Preview window is just a login window where you have to provide your Windows Live ID credentials. This is a new way to link the IDE with your developer identity. Type your Live ID credentials and click the “Sign in” button. 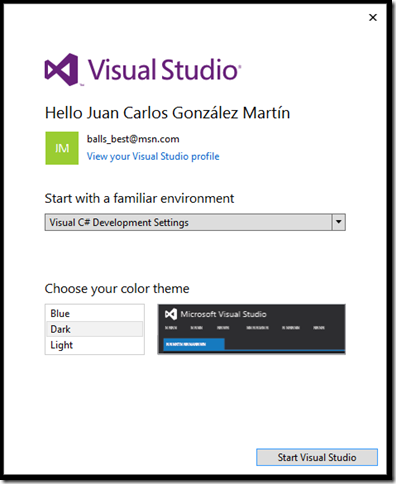 Before the VS 2013 Preview starts, you will have the opportunity to customize your IDE choosing the color you want to use and also the development settings. 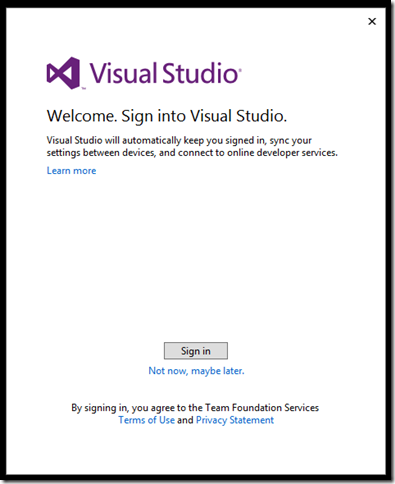 Once you are done, click “Start Visual Studio”. 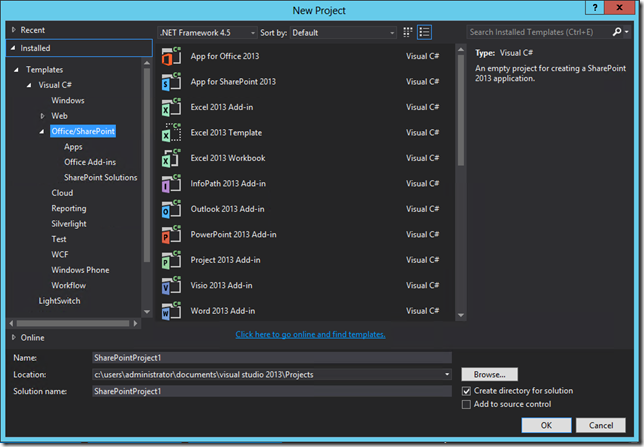 Finally the new version of the Microsoft IDE will be shown with the chosen configuration and ready to work. 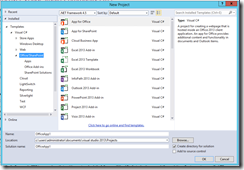 To finish, just check the new project templates for Office & SharePoint development that are ready for use. 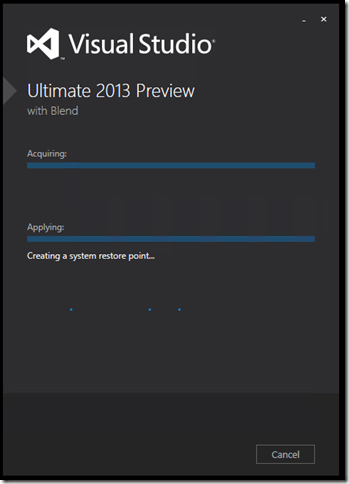 And that’s all about how to install VS 2013 Preview in a CloudShare environment. Happy CloudSharing!